NADEF Solid Gold & Stand Dyn-o-mite Crues - discoverers of the oldest-known Liriodendro tulipifera. This tree lives near Forge Creek in the Great Smoky Mountains National Park, TN. 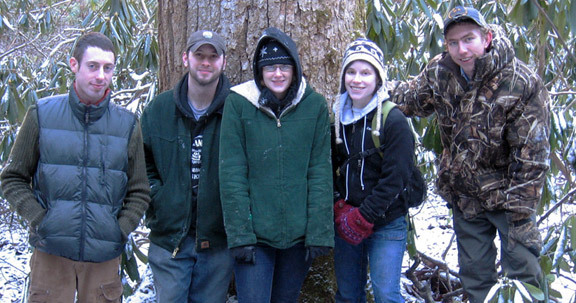 Jacob Blimline, Nick, Erin Madeen, Karen Ross and Glade Brosi in front of the oldest-known Liriodendro tulipifera. Liriodendron tulipifera 475 XD flc04a Frick Creek, GA W. Blozan, N. Pederson, N. Malcomb, J. Scheff, C. Leland, B. Catron, A. Brice; K. Tackett; Pederson et al. Env. Res. Let. Liriodendron tulipifera 460 XD jat09b unnamed valley north of Amicalola St. Park, GA N. Pederson, B. Catron; K. Tackett; Pederson et al. Env. Res. Let. 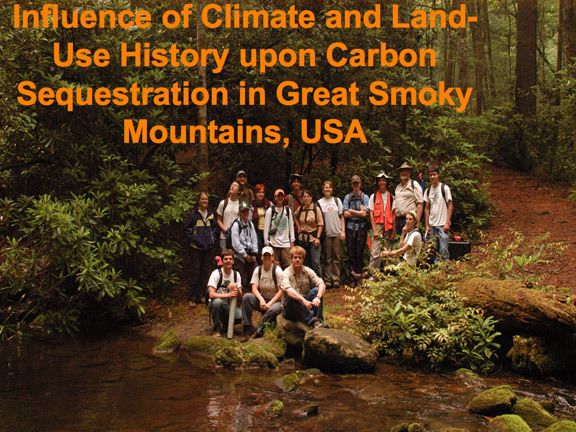 Liriodendron tulipifera 420 XD fcl22a Frick Creek, GA W. Blozan, N. Pederson, N. Malcomb, J. Scheff, C. Leland, B. Catron, A. Brice; K. Tackett; Pederson et al. Env. Res. Let. Liriodendron tulipifera 417 XD jat17a unnamed valley north of Amicalola St. Park, GA N. Pederson, B. Catron; K. Tackett; Pederson et al. Env. Res. Let. Liriodendron tulipifera 404 XD jat13b unnamed valley north of Amicalola St. Park, GA N. Pederson, B. Catron; K. Tackett; Pederson et al. Env. Res. Let. 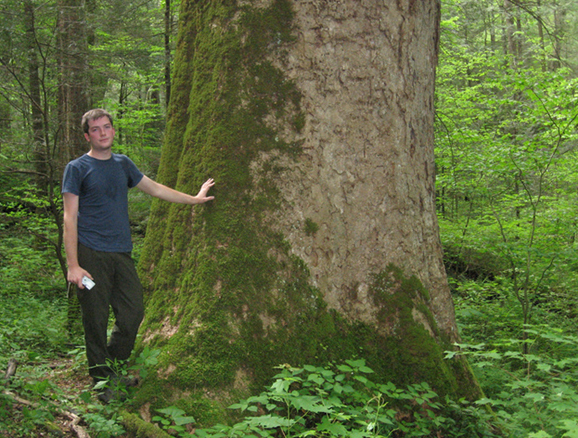 Lucas Conley next to a humongous Liriodendro tulipifera in the Great Smoky Mountains National Park - Thanks to Will Blozan for finding this tree. 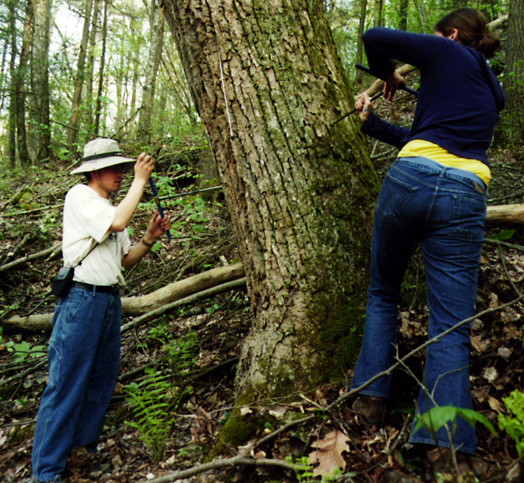 Oyunsanaa Byambasuren and Ashley Curtis coring an old Liriodendro tulipifera in Fiddler's Green, VA.
© Rocky Mountain Tree-Ring Research, Inc. & Columbia University - All Rights Reserved.